The Ferret Canine Distemper fund group "resides" on Facebook. 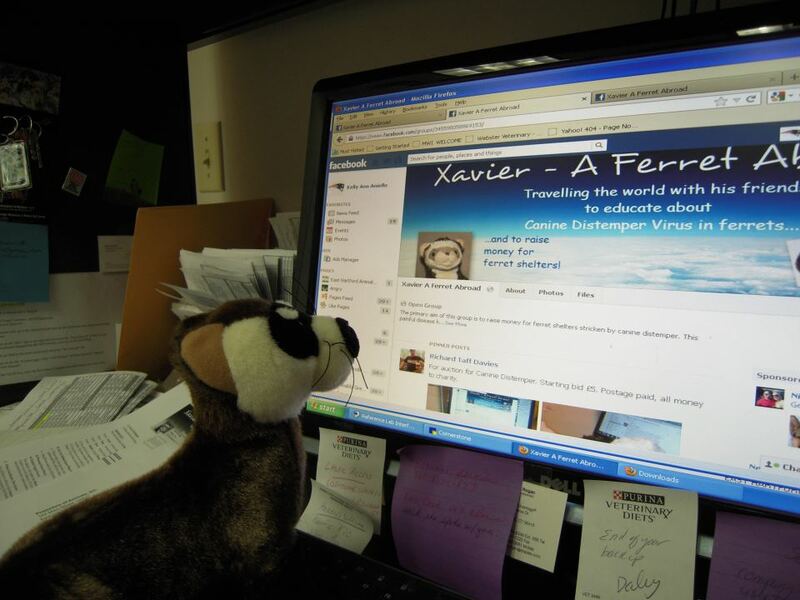 There we have an open group where interested Facebook members can meet and share the adventures of our plush ferret travelers as they move from home to home. The group also maintains a "shop" on the Ferret Association of Connecticut website where we offer plush ferrets that have been cleverly dressed to be "adopted" in support of the fund. Additionally. we also hold various fun benefit events and fund-raisers as well. The Xavier fund also welcomes monetary and in-kind donations in support of our mission. Because the group is under the fiscal sponsorship of the Ferret Association of Connecticut, Inc,, a 501(c)3 charitable organization, all gifts to the fund may be eligible as a US income tax deduction to the extent allowed by law.